Stand with your back to the exercise ball as you did for the lunges. Push the exercise ball back and then pull the ball back toward you while keeping hips level. Don't let your back arch. Keep your back in a good neutral position. Keep your shoulders level and pointing forward. Your weight bearing knee should not bend too much. If you have knee discomfort doing this exercise, stop and consult a physical therapist. Tie an elastic band or attach pulleys to your moving foot to add resistance to this exercise. 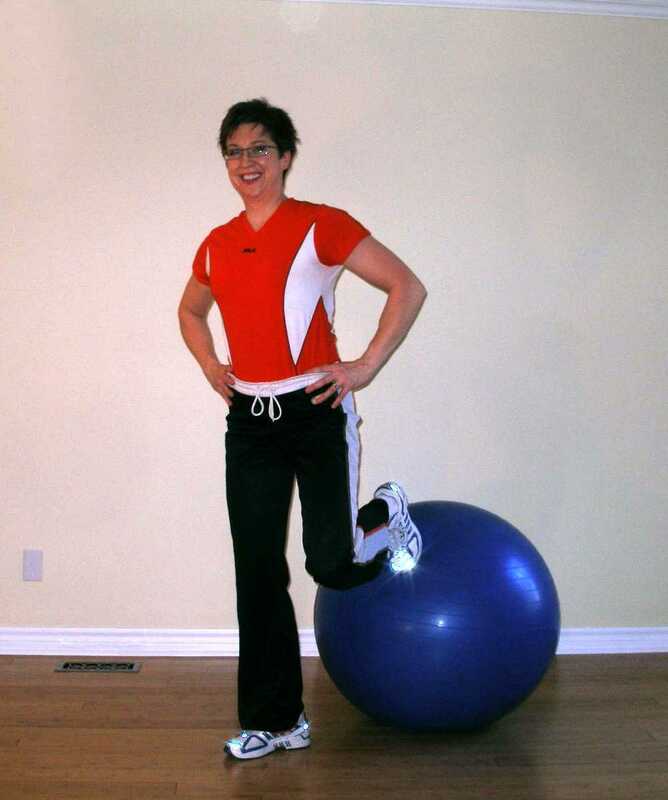 If you are finding this ball exercise easy put your standing leg on a rolled towel, cushion, or top side of a BOSU. The benefits of this exercise for hockey players are obvious in that it strengthens hip muscles in a functional pattern while integrating the core. Other good exercises for skaters can be found here..
RRepeat this movement 15 times on each leg.